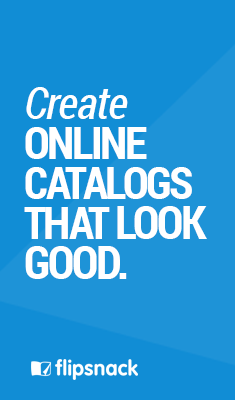 Catalogs are a different, sort of forgotten medium for selling products. 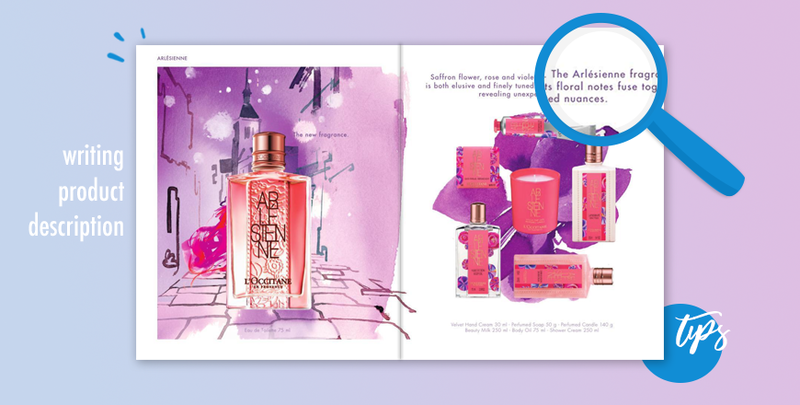 You are supposed to promote multiple products in a single publication with short, attractive descriptions. If you feel like you need help writing copy for catalogs you’re in the right place. Your main goal in this case is to get your customers to buy, by calling the company directly, by filling out a form in your mail-order catalog or by placing an order on your e-commerce site, which is linked from your e-catalog. When readers look at your catalog, the last thing that they want to see are the features. Of course, they have to be listed but that’s not the part that many readers will pay attention to. What they will be looking for is what’s in it for them. Sure, your hair products are completely organic but what does that mean for them? Most users aren’t that savvy in understanding the terms usually found in specifications or lists of ingredients. It won’t resonate with them, so you need to write better copy for catalogs. How? By describing the benefits. On the other hand, saying that your organic hair product has components that makes hair shinier and healthier is much better. This will entice customers to buy the product. Your style of writing copy for catalog will largely depend on your users. This means that you’ll have to first conduct some research and understand your audience to know how they speak about your product, how they describe it. It’s best to speak to them using their words. For instance, a young female audience will prefer a casual, friendly tone – as they speak to their friends – while a corporate executive would not relate to this kind of language. Avoid heavy jargon always. It doesn’t appeal to any kind of audience. Headlines are one of the first things your customers see when they open a catalog. This is why it is crucial to make on effort on writing attractive headlines. They can convince people to make a purchase. Most copywriters see titles as just another place for descriptions. That is not right. You should never describe products in the title. In the example of hair products, you shouldn’t say ‘Organic Olive Honey Shampoo’. This is boring and unimaginative. Rather say something like ‘Let your hair shine like never before!’ or ‘Volume that feels incredible’. You could also be inspired to write better product titles by Viawriting. You could also hire external help from online services such as Paperfellows. Stateofwriting – In case you are fairly new to copywriting, following some general guidelines is a good idea. You can find some on this site. Mywritingway – Proofreading is a layer of revision that holds a lot of value for any tight, quality copy. Do it with this tool. Boomessays and Essayroo – Formatting should make your description easy to scan through. These tools provide optimal resources for that. Studydemic – Power words are a big part of a description. Use them with meaning and possibly add them to your CTA. Academized and Revieweal – Editing prevents you from publishing a repetitive, boring description. Use these tools as editors. An active voice keeps things going while a passive voice slows everything down. Active voice is persuasive and powerful. It makes your description tight and valuable. Always avoid using the passive voice and stick with active. Simplicity is always the best way to go. You should emulate it in everything related to your product description. Avoid long, thesaurus words that aim to confuse and stick with simple yet powerful language that can inspire your readers. Don’t make your description overly complicated. Just state your main points, shortly elaborate and leave them with a powerful CTA. “Simplicity is often underestimated in all areas of life. But clutter doesn’t signal to the readers that what you are saying makes sense. It weakens your point and drives the reader away from your text.” says Bethany King, a copywriter at Eliteassignmenthelp. Make it your personal goal to make the reader feel something. Make him or her smell the olive and honey from the shampoo, make them feel the silkiness of their hair or see how shiny it is. This is the only way you’ll sell something – by making your readers feel. Even though catalog copy is a bit different, it still follows similar rules as any other copy. Make it jump off the page and sizzle with meaning. With this kind of writing, you’ll easily persuade your readers. Freddie Tubbs is a communication strategist at Bigassignments. He regularly takes part in marketing and communication conferences and webinars, and contributes his columns to Oxessays and Australian help blogs. Really fantastic idea to stand out. I am totally agree with all the points you have mentioned above. In addition, for drawing attention to items that are on sale or bestsellers, using starburst graphic will really stand out. But should not put starburst everywhere in page that looks cluttered. Consider putting your phone number in every page so that people feel the convenience and ease of ordering will still stick in your customer’s mind. that’s a great idea, @zubida! Vastly thought out! Nice use of active voice idea, That’s engaging and fab. Nice tips. Seems very useful. Thanks for sharing your experience and advice. Really good post. Thank you for sharing this. Thai is very important for me and helpful for others. Post is very clear and focus the main points. I need this type everyday for learning. Outstanding articles and think is very unique. Interesting! i am agree with your thoughts and target your audience is the most important tip ever.